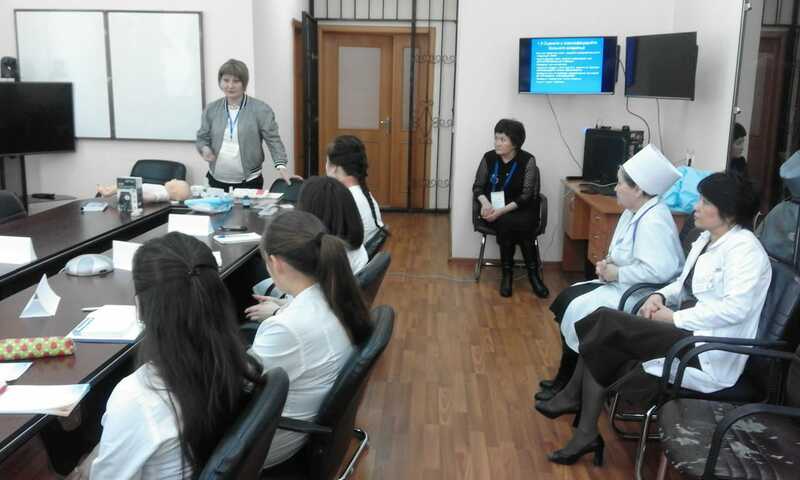 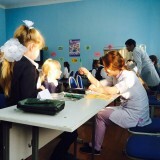 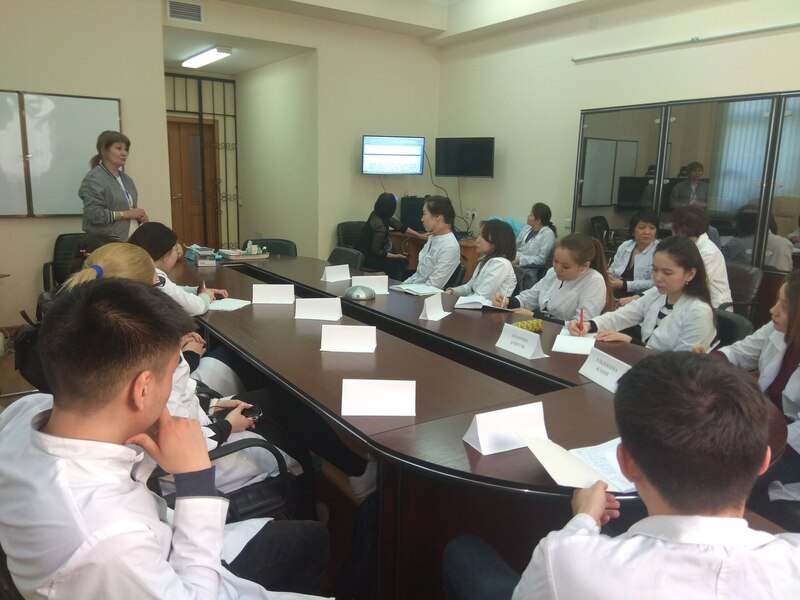 In the framework of cooperation with other medical universities, in terms of academic mobility of the faculty of JSC “NMU” on the clinical basis of СССH №2, Department of Children’s Diseases №1 from 18.02-28.02.2019, teachers worked with Karaganda State Medical University, Head of Department №2 Tukbekova B.Т. 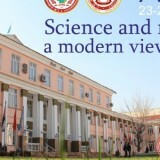 and assistant professor Serikova G.B. 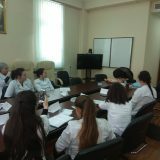 шn the framework of the program 19.02-22.02.2019. organized and conducted for the training workshop with interns 711 -1.2 groups, where associate professor took part. 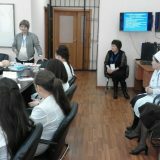 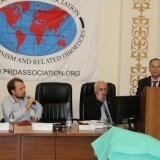 DB1 Ibrayeva K.E., prof. B. Tukbekova on the topics: “Maintaining a Sick Infant”, “Sorting Emergency Conditions in Children About 5 years old”, “WHO Approaches for IMCD, Hazard Signs in Children 0-5 Years Old”. 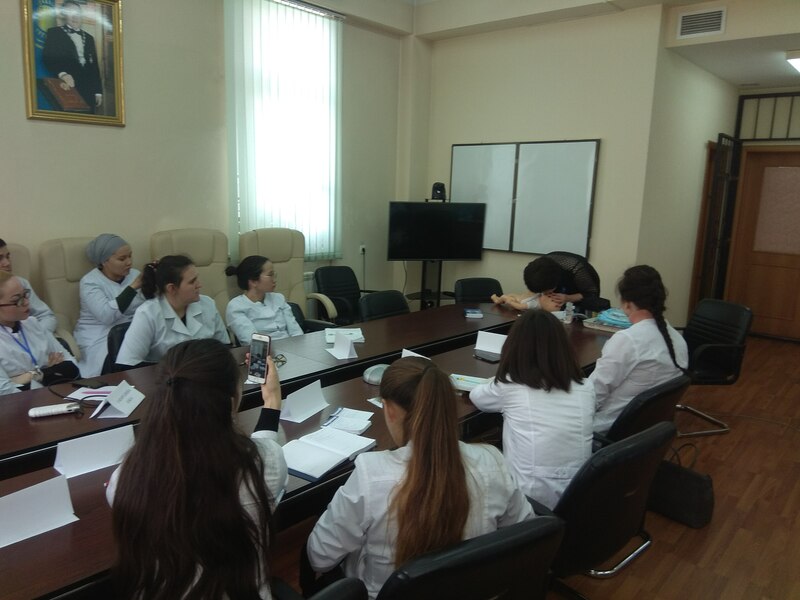 Practical training on the IMCD strategy helps the interns develop the skills to accurately determine children’s diseases at the polyclinic level, provides appropriate combination treatment for all major diseases, improves counseling for caregivers, and speeds up the referral of seriously ill children to appropriate specialists. 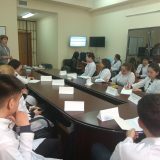 It also teaches students to communicate in communicative skills with parents at home, stimulates seeking proper help, promotes improved nutrition and prevention, as well as proper implementation of medical prescriptions.